I've recently been watching Jade Billington on Youtube and I can't get over how gorgeous her skin is. She has such beautiful clear skin, I needed to find out what she uses! I watched a few of her videos and she mentioned some skincare favourites of hers and immediately I was on the Boots website ordering some goodies. You may know that I've been struggling with my skin for a while now. Since I've got older my skin has got worse. I have moderate acne, scaring and oiliness. I've tried so many different brands of skincare but nothing has really made a difference in my acne. I've tried Origins, Liz Earle, ProActive and many more. I thought I would just give a few high street brands a go. I recently tried the Clinique 3 step system for blemish prone skin and I did really enjoy some of the steps. I was watching one of Jade Billington's videos and she mentioned that she had been using the Clinique Dramatically Different Moisturiser for the longest time, immediately I had to have it. This time I bought the Clinique 3 Step System for Oily Skin as it came with the moisturiser. It also comes with the Liquid Facial Soap for oily skin and the Clarifying Lotion. I can't wait to try them. The moisturiser was the only thing I didn't really get on with in the other kit, so I hope I still like the cleanser and toner! Another thing Jade mentioned is the Garnier Micellar Cleansing Gel Wash. She said she uses this to take her makeup off before she cleanses - of course I picked this up to! I can't wait to use this everyday when I get in from work. Boots had a three for two offer and I needed to pick up something else, so I got the St Ives Blemish Control Apricot Scrub. I've always wanted to try St Ives, I'm not going to lie the Apricot sold it to me! I really want to make more of an effort exfoliating my skin through the week and getting rid of the nasty blemishes! Another thing I really want to get into are masks. I want to try and use and least two masks a week, I'm even thinking about doing a little 'Masks of The Month' series on my YouTube channel. Boots had a three for two so I treated myself to three Garnier SkinActive sheet masks. 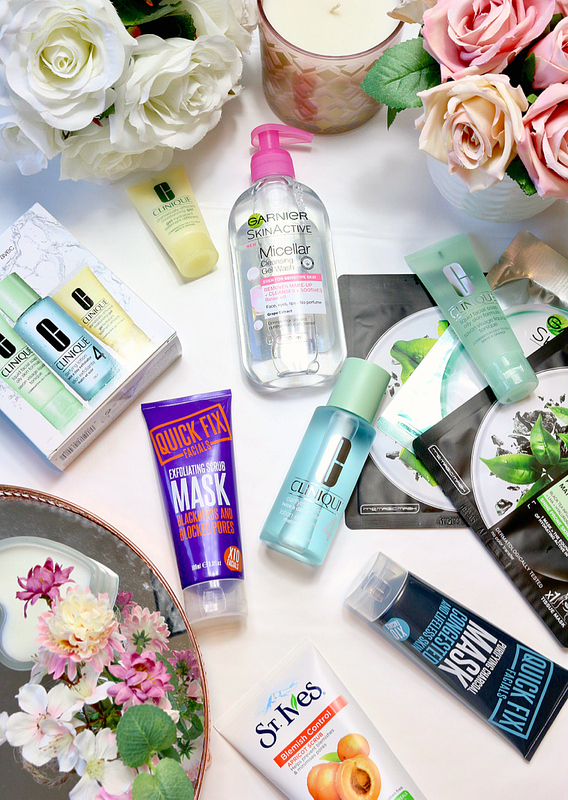 I love a sheet mask, they're so easy to use and you don't even have to wash your face after! 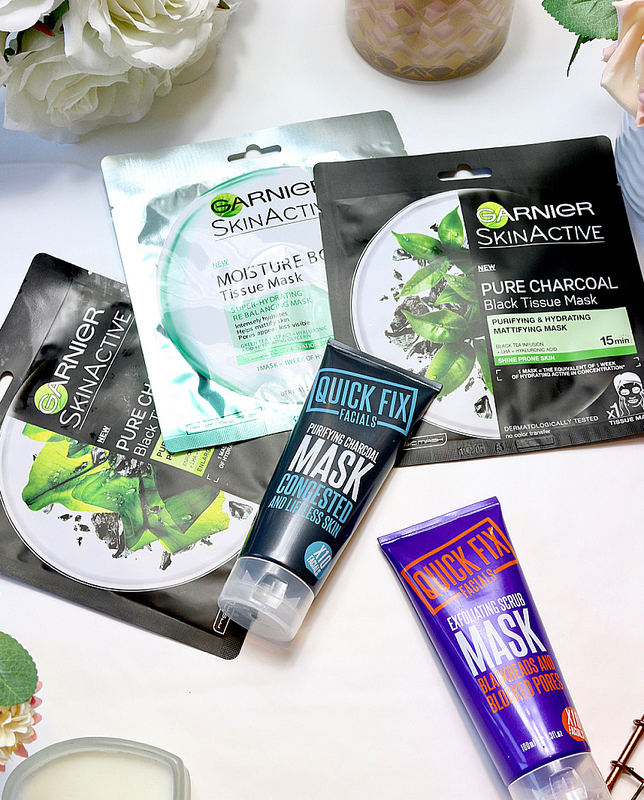 I picked up the Garnier Moisture Bomb Greet Tea Hydrating Face Mask for balancing and hydrating, the Garnier SkinActive Charcoal Algae Mask for minimising and clearing pores and the Garnier SkinActive Charcoal Green Tea Mask for hydrating and mattyfying. I also bought two Quick Fix Facials masks because again Jade Billington told me too! (she didn't really!) I've never tried this brand but they seem very affordable and you get a lot of use out of one tube. I chose the Puryfying Charcoal Mask for congested and lifeless skin and the Exfoliating Scrub Mask for blackheads and blocked pores. I really can't wait to try these ones, I think I might use one tonight! I've so exciting to try all of my new skincare especially the new masks I've bought. Watch out for the first 'Masks of The Month' video coming up on my YouTube channel soon beauties! 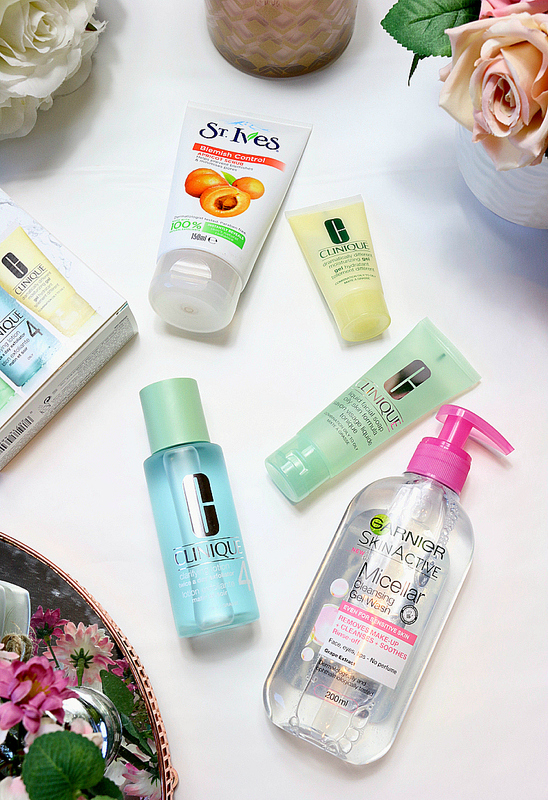 Have you got any skincare suggestions for oily, acne prone skin? I love getting new high street skincare! Those facemasks look interesting!